Fearful of social media and Xi’s anti-graft campaign, some local officials are using firms to scrub their corruption from the web. Ever since President Xi Jinping announced his anti-graft campaign last January, China’s central government has launched numerous investigations attempting to weed out government corruption by swatting “flies” (low-level officials) and killing “tigers” (high-level officials). The Political Bureau of China’s Central Committee released a document in December outlining eight ways for public officials to avoid corruption. Some points involved rejecting extravagant lifestyles and keeping close grassroots connections to address social problems more effectively. Armed with this document, Chinese citizens have taken it upon themselves to help the central government find corrupt officials and bring them to justice. This has unsurprisingly made many local officials nervous. WantChinaTimes reported on a People’s Tribune magazine survey of over 2,000 officials across China, which asked them what they thought about the Internet’s role in fighting corruption. 70 percent of those surveyed said they supported using the Internet to identify corruption despite 50 percent of the respondents indicating that they feared microblogs and other websites could ignite social unrest. Of course, those guilty of unethical behavior should be worried about this development the most. However, the survey noted many are concerned about false accusations damaging their reputation, and also resent how a couple of unethical officials’ actions may shape public opinion of local officials in general. Officials fear the Internet’s potential to spark unrest because many Chinese citizens use social media sites like Weibo to spread information about corruption in their localities. Sometimes these posts go viral and spark protests on the Web and in the streets. These protests pressure the central government into launching corruption investigations, whether the allegations are credible or not. If officials are charged, they are usually ousted from office, fined, and/or arrested. Some Chinese netizens have made a hobby out of scouring the Internet and exposing officials based on negative information they’ve found online. These vigilantes are referred to as renren sousuo, or “human flesh search engines.” While they do not represent a new phenomenon, “human flesh search engines” have risen in popularity and frequency over the last five years. For instance, one of the more noteworthy scandals involved Yang Dacai, a Shaanxi province’s official who was accused of using public funds to purchase extravagant items for his own personal use. Chinese netizens found photos of him wearing expensive watches and other luxurious apparel, and accused him of “amassing a luxury wardrobe worth up to £110,000” (US$173,250), according to The Telegraph. These posts went viral, and online protests eventually caught the attention of the central government – who launched an investigation and sacked Yang Dacai last September. That’s where China’s burgeoning public relations (PR) industry comes in. Several “black,” or illegal, PR firms have reportedly been commissioned by local officials to clean up their public image online. Officials use these firms to prevent Chinese netizens from discovering scandals and to prevent sparking mass protests. These services therefore protect local officials from citizen-based and central government investigation; allowing them to continue to engage in corruption. Since officials are deathly afraid of dealing with protests in response to their own corruption, and many hope to retain their lavish lifestyles– black PR firms like Yage Times, Xinxun Media, and Origin of Brightness are capitalizing off of their fears. “It does not matter how big or sensitive the story is, we can make it disappear," Yage Times promises its clients, according to The Telegraph. As a result of Xi’s anti-graft campaign and Chinese netizens’ efforts to expose government corruption, the black PR business has been booming thanks to local officials. A recent Caixin report claimed that Yage Times had made over 50 million RMB (US$7.9 million) in profit. These sorts of profits are possible because black PR firms charge anywhere from 1,000 – 10,000 RMB to delete a post, and can charge over 100,000 RMB (US$16,000) to have a search keyword blocked. According to the report, Black PR firms use their guanxi, or relationships, with employees from the website or news portal where a post needs to be deleted, and then bribe them to get rid of the information. If that doesn’t work, firms bribe local police officials to send a deletion order to the website and force a post to be removed. Some companies have gone so far as to “create fake government stamps and use them to send faux-official takedown notices to get articles pulled from the web,” according to Tech In Asia. Since these services require high-level connections, and many officials are desperate, firms can charge high prices to get rid of information. Because the PR firms’ actions impede on the central government’s ability to identify local corruption, the Xi administration has reportedly started to crack down on these companies, including raiding the offices of Yage and XinXun Media. However, more efforts will be needed to deal with the rest of China’s web-scrubbing industry, and success will require the new government to make it a continued priority. Elleka Watts is an editorial assistant at The Diplomat. 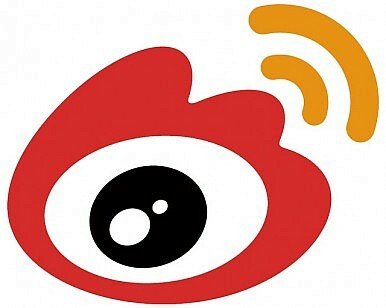 Weibo users are being arrested for spreading conspiracy theories, asking questions and mixing up statistics. China Arrests Weibo Users for LyingWhy is China Censoring the Global Times? Beyond the Great Firewall: How and What China Censors The Curious Case of China's GDP FiguresXi Jinping: China's First Social Media President?